The homeland of chocolate is South and Central America. When the Spanish colonized Mexico, they kept chocolate a secret for some 100 years. 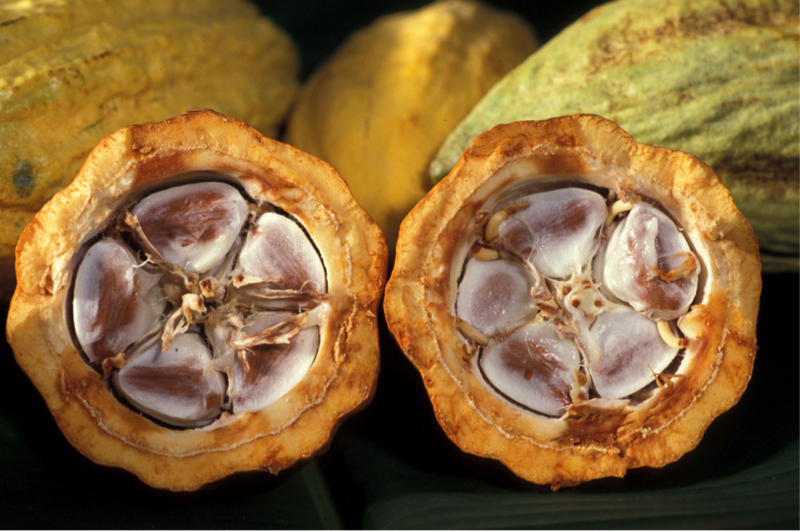 The Spanish then took it to West Africa, and this region now produces two-thirds of the world’s chocolate. Chocolate has always had the reputation of a narcotic and an aphrodisiac, and today it still conjures up images of temptation and indulgence. Like most tropical fruit trees, the cocoa tree blooms, buds, and produces fruit all at the same time. The tree can grow to approximately 8 m (26 ft.) high. Its fruit is a melon-like pod with approximately 50 to 60 kernels inside (each the size of a lima bean). The ripe fruit is taken off the tree and kept until completely ripe (approximately four days). The fruit is then split open. To improve the colour and the taste, including lessening the bitter taste, the beans go through a fermentation process. They are then washed and dried in the sun. After this process, they are ready for marketing. Cocoa beans contain between 45% and 55% cocoa fat, which is also called cocoa butter. Introduction to Chocolate and Other Cocoa Products by go2HR is licensed under a Creative Commons Attribution 4.0 International License, except where otherwise noted.